Come join Doug Gorrel Racing with this winning mare by ZIZOU from the SNIPPETS mare EXCLUSIVE BID. A full sister to the listed stakes winner ZIN ZAN EDDIE. The ZIZOU x SNIPPETS mare cross has all-time produced no less than 10 winners & 2 stakes winners from a mere 14 runners. BID OF FAITH is a big, strong 6YO mare, winner of 5 races and placed 9 times, earning over $100,000. 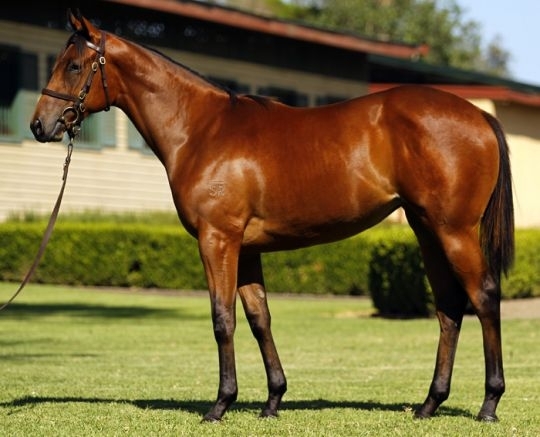 A $50k yearling buy, she is a powerful finishing sprinter best suited to 1400m. Spelled for 18 weeks after a preparation that didn't suit her, she returns to work this week (18 February) healthy and happy and is the likely type to respond well to our smaller stable with all our TLC. We expect she'll be ready to race by early May. Terrific residual value as a breeding proposition. For more information, please call 0499 927 792. ZIZOU (AUS) (2004). Winner at 2, A$969,525, VRC Maribyrnong Trial S., L. Out of SP Natural is My Name. Sire of 195 rnrs, 134 wnrs, inc. SW Zoutenant (Wyong Magic Millions 2YO Classic, RL, Everage, Marseille Roulette, Pitstop, Zin Zan Eddie and of Asked to Leave, Natural Dancer, Ocean General, Tiarazou, Love Shuttle, Allena, More Aces, Wrong Bias, Evil Dreams, etc. Sire of the dams of SW Let Me Sleep on It and of Elraazy, Nistelrooy, etc. ZIN ZAN EDDIE (g. by Zizou). 5 wins to 1400m, A$482,395, ATC Carrington S., L, Bowermans Furniture H., Eastern Creek Tavern H., Tab.com.au H., John McGarr H., 2d ATC Winter S., L, Inglis Classic Sale Night H., Cellarbrations Celebrate H., Tab.com.au P., 3d ATC Australian Turf Club 2YO P., Crown Castle H., Blackwoods Galmet H., Phillip Hughes Tribute H., McGrath Estate Agents H., The Action's Calling at TAB H., 4th ATC Winter Challenge H., L, Canberra Guineas, L.
Zin Zan Elsie (f. by Zizou). 2 wins at 1000m, 1300m, A$99,460, ATC TAB More Than Winning H., 2d ATC Schweppes Evening Star H., TAB Rewards H., 3d ATC Icap H., Theraces H.
Bid of Faith (f. by Zizou). 5 wins. See below. Dream Faith (f. by Zizou). Winner at 1000m in Aust. Overfond. 9 wins to 1200m, A$86,280, QTC Santa Claus H., BTC Heinrich Constructions Flying H., Bletchingly H., 2d BTC Quick Fit Tyres H., 3d QTC Brisbane Polo Club H., BTC Doomben H.
Seafront. 7 wins-1 at 2-to 1400m, AJC Chicola H., 2d AJC Hancock & Associates H., BTC Moratis Fresh Produce H., QTC IPG Print H., 3d AJC Country Links Kitchen H., Qld Tatt's RC Tender Plus H., BTC John Bolton H.
Avadance. 2 wins at 1100m, 1450m, STC Vodka Cruiser P., 2d STC Bigpond H., Schweppes P.
Flaming Prince. 6 wins-1 at 2-to 1200m, 2d QTC Eskimo Prince H., 3d BTC Castlemaine Perkins H.
Bids. 3 wins at 1000m, 1100m in Aust. Sahara Snip. Winner at 1000m in Aust. Magic Stepper. Winner at 1300m in Aust. Apogee. 2 wins at 1250m, 1300m in Aust. Exclusive Bid. 2 wins. See above. Dublebid. Winner at 1450m in Aust. Sea World (Spinning World). 13 wins from 1300m to 1800m, 472,636Rgt., to 2018 in Malaysia, 2d Selangor TC Sports Toto Supreme Challenge Cup, L, 3d Piala Emas Sultan Selangor, L, 4th Selangor Gold Cup, L.
Too Many Lies. 5 wins to 1200m in Aust. Two of a Kind. 3 wins at 1300m, 1400m to 2017-18 in Aust. Regal Rojo. Winner at 1400m in Aust. CLONMEL (Thunder Gulch). 3 wins-2 at 2-from 1400m to 2150m, A$254,120, AJC Fernhill H., Gr.3, TL Baillieu H., L, Clibborn H., 2d AJC Champagne S., Gr.1, STC Eaglehawk by Wolf Blass H.
SARANGGANI (Dazzling Account). 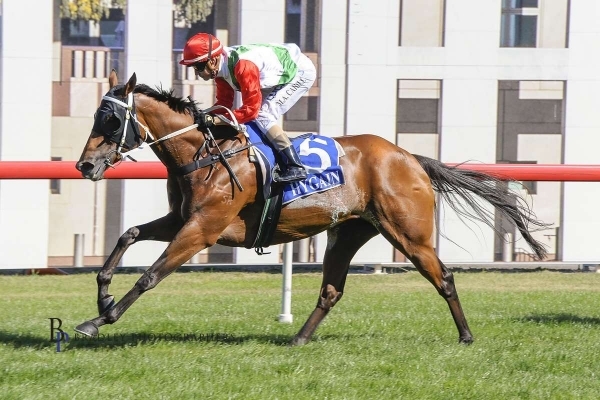 3 wins from 1600m to 2000m, A$78,030, STC Quick Eze H., L, AJC Poseidon H., STC Begonia Belle H., 2d AJC Tails H., Rob De Castella H., Baltic H., STC Ajax H., Newbury H.
Contact Point. 3 wins from 1600m to 2400m, AJC Energy Australia H., STC Golden Slipper Hospitality H.
Sunset Hills. 7 wins to 1400m, A$126,683, to 2017-18, BRC Followmont Transport P., Ipswich TC Optus H., 2d BRC Mullins Lawyers H., Ipswich TC Optus H., 3d BRC QHA Hotel Care H., Channel Seven H., Ipswich TC Channel 7 H., Pepsi Max Maximum Taste H.
Royal Reform. 9 wins from 1200m to 2000m in Aust. Binibini. 3 wins. See above. 5 wins to 1400m, A$105,925, to 2017-18, 3d ATC TAB Highway H.